Schumacher Electric, driven by Enerdrive. Enerdrive now stocks Schumacher Products. Enerdrive have joined forces with Schumacher Electric, one of America’s largest distributors of battery chargers, battery testers, jump starters, fuel packs and work lights. Since 1947, Schumacher Electric Corporation has been leading change and driving performance to exceed its customers’ expectations. Engineered patent-pending technologies and award-winning marketing makes Schumacher the brand of choice. Schumacher Electric Corporation is not only the USA’s industry leader in battery chargers, but also in technology. Why wait for future charging technology? The future is here! We now offer next generation Lithium-Ion technology and the ability to charge all battery types. This innovative technology uses 8-stage charging, for added precision, safety and battery life. Charge your battery up to 3X faster with our microprocessor controlled battery chargers. Protect your investment and extend battery life with Schumacher chargers. Schumacher Electric recently enhanced its product line with energy-efficient battery chargers, for today’s new energy standards. New energy-efficient models feature: improved charge control circuitry – for higher and lighter weight; microprocessor controlled multi-stage charging – for added safety, precision and battery life; automatic rate selection – adjusts the charge current, based on battery size, to charge the battery completely, efficiently and safely; float mode monitoring – automatically maintains the optimum battery charge; auto-start, with reverse hook-up detection – the charger will not supply current to the battery clamps until a battery is properly connected; an LED will flash if the clamps are reversed; display sleep mode – saves energy during charging. “Connect it and forget it”. 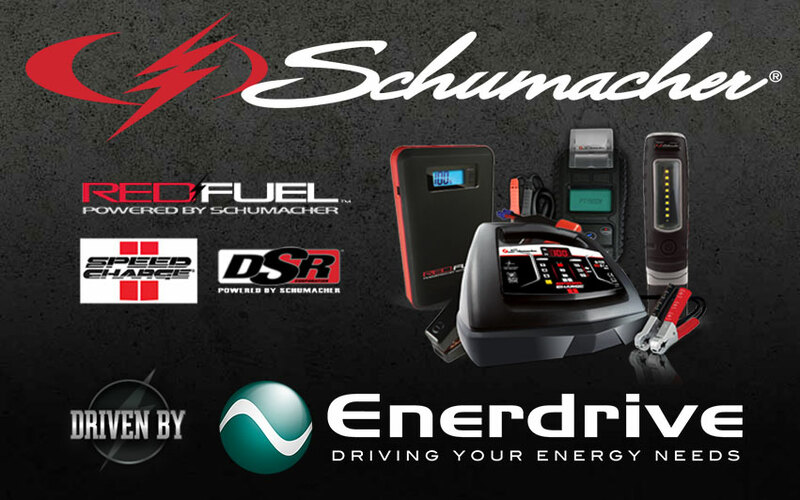 Please visit the link for the full range of Schumacher product stocked by Enerdrive.